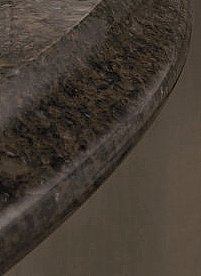 Quartz can give you beauty that rivals granite. The engineered aspect of it includes a baked-in resin which makes the surface non-porous. Engineered stone has good heat-resistance quality, but it is not heat-proof like granite. Look for engineered stone in such trade names as Zodiaq, Silestone, and Caesarstone. Engineered stone is another premium priced surface. 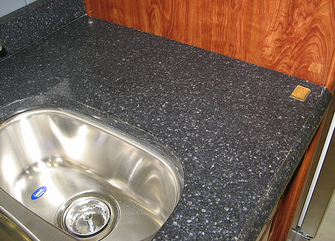 You may find it even more costly than granite. 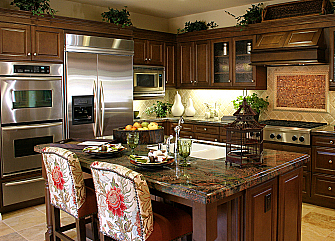 Granite and engineered stone are both very good ─ and similar. It’s just a personal opinion, but I believe that granite has more of that intangible prestige value among house buyers, which is an asset when you’re selling.